190 million questions were answered during the 2015 Language Perfect Championship. As I mentioned in my previous post, Education Perfect promised to donate money to help people in Nepal for every student that achieved a Gold Award this year, so here is an update on #GoldForNepal! More than 5,000 students received Gold and Elite awards which means they have donated $5,300 to charities in Nepal. If you have 5 minutes to spare, it is worth looking at the clip from the winning school, Mission Heights Junior College in Manukau, New Zealand. It is worth showing it to your learners too, whatever age they are, as there is a lot of talk about determination! projects that encourage more students to study languages beyond the age of 16. I know that there is some absolutely fantastic work going on in schools and universities, so how about applying? Think what you could do with the additional financial support you would get. The deadline is 30th June. They are looking for projects that would improve take up and enthusiasm for language learning over time, that provide lasting value for money and build partnerships. It is the element of collaboration that is so important, don’t you agree? We have looked at lots of ways of collaborating very recently! Another great opportunity is the Goethe Institut Umdenken exhibition, which runs in London from 16th June until 3rd July between 10.00 and 15.00. It is free but you need to book to be able to take your students. Information: +44 20 75964031. I heard a really good talk about this last Saturday by Katrin Lauber. I really believe that we must work more closely with science, to link learning and encourage more to continue with language learning alongside their other studies. Collaborating with other subject disciplines particularly English must help? 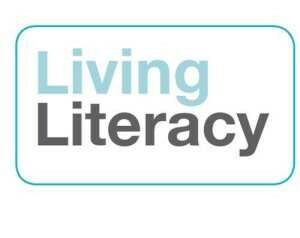 I was very interested to read last week that SSAT and Oxford University Press have been collaborating and come up with an online package, Living Literacy. Here is a link to the whole post, which I think is well worth looking at in a CPD session. It certainly has relevance for us as teachers of ‘other languages’. During the remaining weeks of this term we will be looking at things that you may be considering as you plan for next year. I’ve asked a colleague, Rob Pike, to write a couple of guest posts, so I hope the material will be helpful to you.